So you purchased a car online and now have to decide the best way to get that new car hundreds or even thousands of miles to where you are located. This could be a nightmare to a novice who is unfamiliar with car transports! Many people would buy a plane ticket and then drive the new car home wasting time many of us just don’t have to spare. There is a solution! Enclosed trailer transport after online auto sales can be the best way to get your new car to you without a lot of time on your part. A few phone calls to Door to Door Transport, and you can sit back and relax until your new purchase arrives at your door! Why choose enclosed transport over open air transport? Open air transport is safe and reliable, and at Door to Door Transport, we offer both services to our customers; however, if you just purchased a luxury or exotic vehicle, you want to take extra steps to ensure your new car arrives to you in exactly the same condition in which you bought it. Enclosed trailer transport protects your new vehicle from the weather and road debris that could potentially damage your investment. 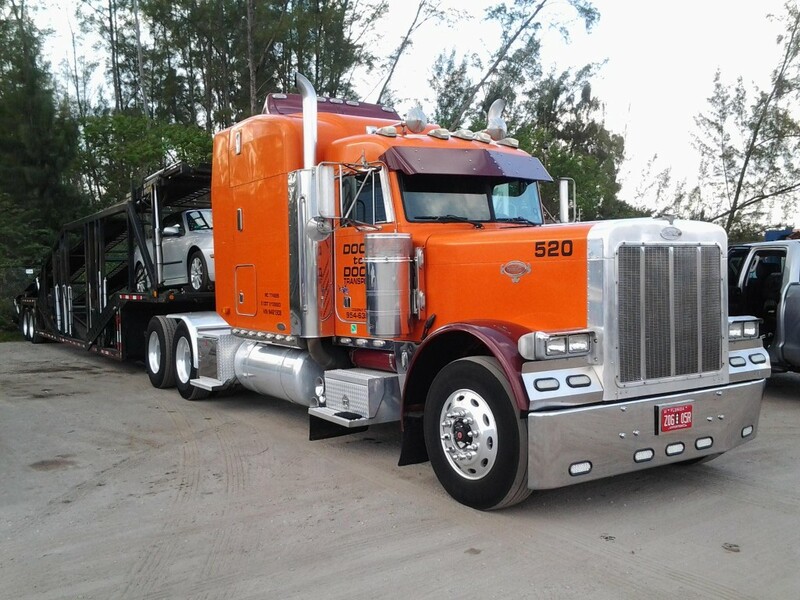 When looking for a way to move your vehicle over long distances the best enclosed auto transport company is Door to Door Transport where we have over 25 years’ experience in moving cars across the country. We are a faith based, family owned business that cares about our customers just like they are our family. Each customer deserves the attention to detail and care that we would give our own family, and we strive to have a customer satisfaction that tops all of our competitors. While there are many transport companies that can get your car from point A to point B, we are the only company that has our customer’s satisfaction as our bottom line! We offer white glove service and promise that your car will arrive at its destination in exactly the same condition as when we picked it up. Enclosed auto transport has several advantages over open air transport, and is most desired when you have a luxury car in which you have a lot invested. The attention to detail, the soft strap tie downs and the white glove service with floor mats and seat covers to protect your vehicle make us the best enclosed auto transport company in the business today. We are committed to getting your car to you in exactly the condition it was when we received it, protecting your assets as if they were our own. Why chose Door to Door Transport? We are a reliable enclosed auto transport company with over 25 years’ experience in moving vehicles across the country. When in an enclosed trailer, your car is protected from the elements such as rain, sleet and hail while also protected from flying debris such as rocks that can damage paint, cause dents and even crack windshields and windows. While open air transport is generally safe, and in fact, almost all dealerships use open air transport to move their new inventory, reliable enclosed auto transport gives you the extra piece of mind as your own personal vehicle is traveling over the interstates and highways. If you are on the fence as to which method of transport fits your needs, give us a call at 866-802-7447 where our friendly and knowledgeable staff can go over the pros and cons of both open air and enclosed transport methods. They can help you make a decision based on your needs and budget. Reliable enclosed auto transport does cost a substantial amount more than open air transport, but when you have invested thousands of dollars in a luxury vehicle the extra cost is generally worth the confidence and trust you will experience when your new vehicle arrives at your doorstep in tip top shape. Visit our website today at www.doortodoortransport.com and browse around to read about all the services we offer as well as find out about our commitment to being the best transport service in the business with the highest customer satisfaction as well.